Quick and Cool will deliver your seafood with care and efficiency. Our GPS tracked fleet travels between Brisbane, Gold Coast, Toowoomba and further to the south and west and are equipped to maintain optimum temperature. 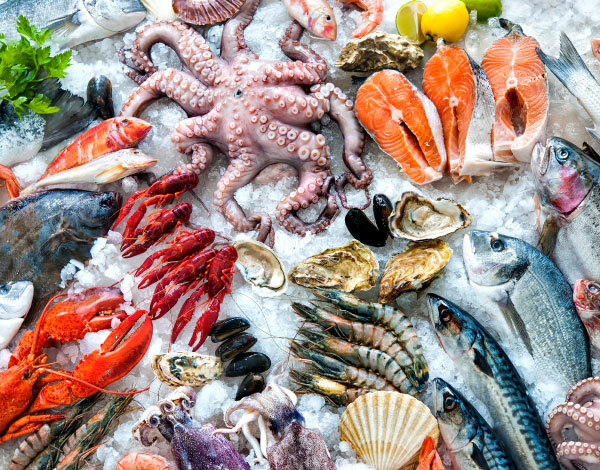 We take the highest care to avoid cross contamination and ensure your seafood stays fresh. Our refrigerated delivery trucks are cleaned and maintained to ensure all loads are transported in a clean and hygienic environment. Your choice of refrigerated courier is a serious decision and we understand that! If you have an account, this is the fastest and most effective way to organising your refrigerated deliveries. For casual and one off bookings please submit your consignment below or call us on 07 4646 4989. We will contact you to confirm delivery and payment. Thank you for making a request for us to deliver your consignment. One of the friendly team from Quick and Cool will be contact with you soon to confirm your order. Just submit this form or give us a quick call and we will have your account up and running asap. Do you have a question about our refrigerated transport services? Get in contact with our team at Quick and Cool. If you're wanting to book goods for transport, click here instead.